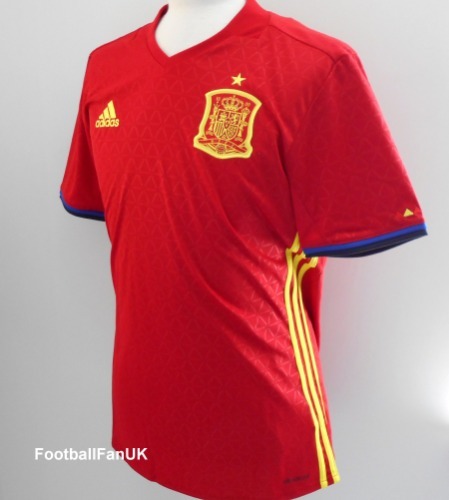 This is the official Spain men's home shirt from Adidas, for the 2016/17 season. New with tags. - Adult size Medium. Chest 41", length 29".